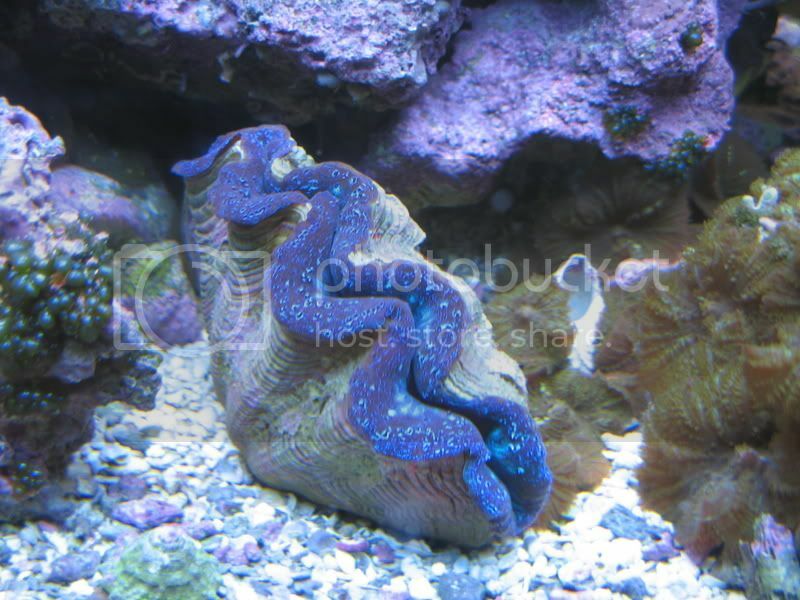 I have added a blue Crocea clam 3-4inch in size to my tank. It has been there for almost 2 weeks now. I noticed yesterday and also today the clam seems to be almost closed. Just a little mantel showing? I did feed my tank the day before I noticed this. Kent Zooplex? Is this normal? Im thinking that the clam is digesting some of the zooplex that it has collected? All other Corals in the tank look normal? At 3-4 inches in size your clam would be getting everything it needs from your lighting. Only very small clams need supplemental feeding until their mantle is large enough. They will continue to siphon food from the water column their whole life, but you shouldn't need to supplement it. They will close up every now and again, just watch it fora day or so. If it doesn't open try moving it and while doing that check it's foot. It's a good idea to get a flat rock under it. It will stick it's foot to the rock and you can move it where you want it. Just lying around in the sand can allow it to be attacked by parasites that attack via the foot. Although I have always had several on the sand with no trouble. 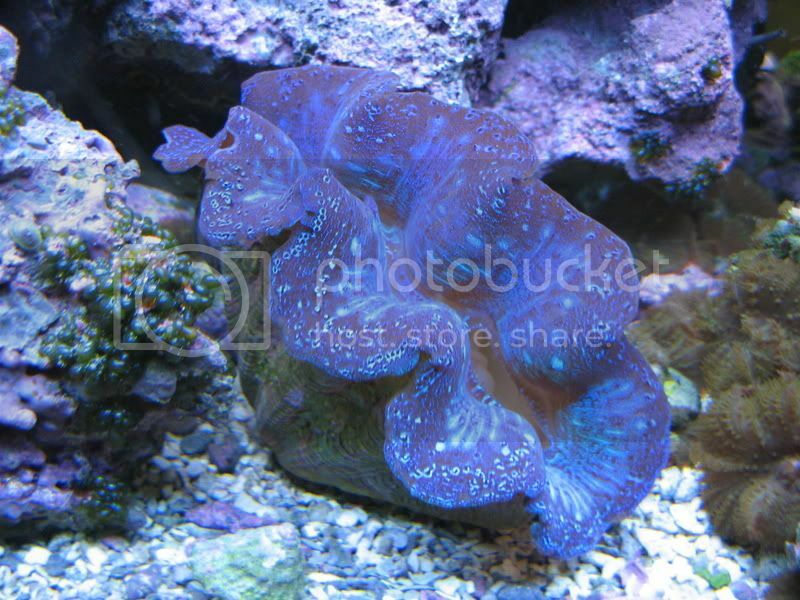 Also note that the crocea is the most light loving of all the giant clams, so make sure it's getting a good bit of light. is this the only clam in the tank? what is your fish / invert list? how do you maintain Ca and Alk? 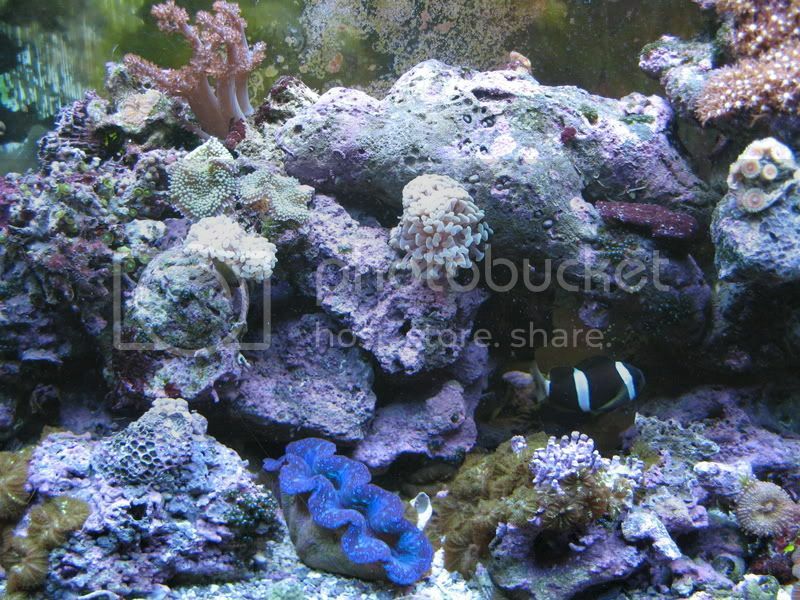 It is placed on the tank bottom crushed coral. I have a coral beauty in the tank also. I know this is not a wise fish to have in a reef tank. I've been keeping my eye on him and he does not seem to bother the clam or any other corals as of yet? The fish do swim over him often causing him to close? could that be the reason??? yeah, coral beauties are not clam friendly. take a large pop bottle, cut it in half and make some holes to allow flow through. place it over the clam and see if he starts to open up again. it could be moving jitters and getting used to the fish flying over top ( he will ) but i would look seriously at the coral beauty. lights 2 10k T5HOs 36" 2 actinics T5HO 36"
seaclone 100 skimmer. junk i know. i would still wager it's the fish. did you check him for pyramid snail when you bought him?? best to do a few hours after lights out. No did not check him for pyramid snail? not sure what im looking for? I did not take him out of water from the bag to the tank as I was told not to expose him to air. I also was told to turn him upside down underwater to make sure no air would be traped inside of him. He was aclumated using the drip method. I have moon lighting on the tank at night and have not seen anything around him? maybe under him?? ?